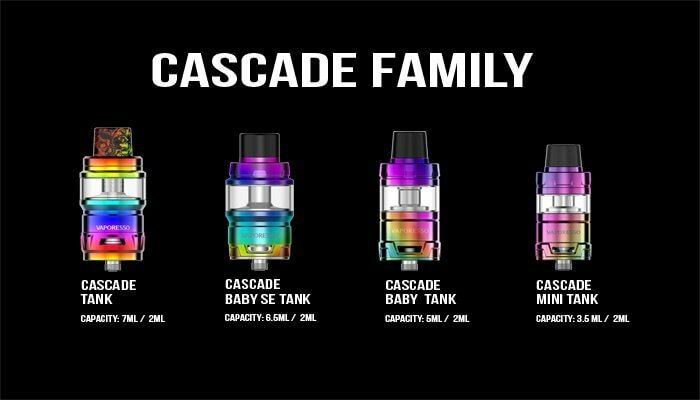 Had you used the Cascade family, great tanks for cloud chasing from Vaporesso? Or if you had used one but do not know the full vision of the family? Check below now on all the details you can learn about the Cascade! The very first member of the Family, also has the largest capacity among all. With 7ml juice this is perfect for a cloud chasing vape. This tank goes separately, no kits coming up together. Uses the special GTM coils. All GT cores need to add an adapter to use inside this tank. 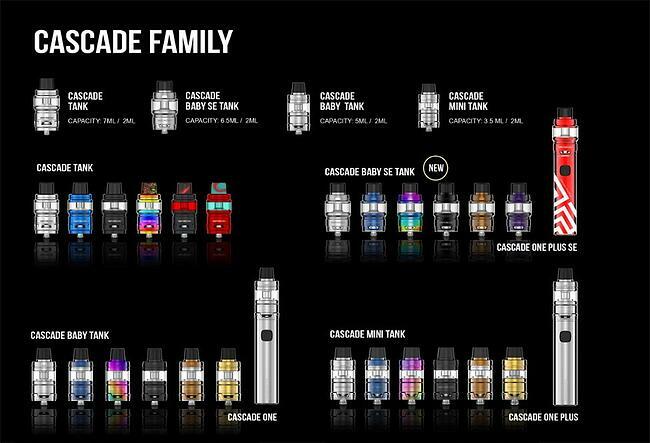 Smallest members of the family, the Cascade Baby tank is 5ml and Cascade Mini tank is 3.5ml. The tanks go with the recent big cloud vape pen. Cascade Baby tank – on Cascade One Plus and Cascade Mini tank – on Cascade One. New GT mesh coil/GT CCELL coil is with these 2 tanks. All previous GT cores are also compatible with the tanks. The latest member, and also is of bigger capacity compared to the Cascade Baby. This tank goes with a special bubble design that making the total capacity 6.5ml. This tank goes with the Cascade Baby SE vape pen (will be on market soon). For all the tanks, 2ml-tpd version is available. After check so many details, which one is your favorite tank? Go get it and start a cloud chasing journal! We're excited to launch our new product: POLAR and its updated Control Chip OMNI Board 4.0. We’re excited to launch our new individual brand “RENOVA” and its website (http://renovavapor.com/). 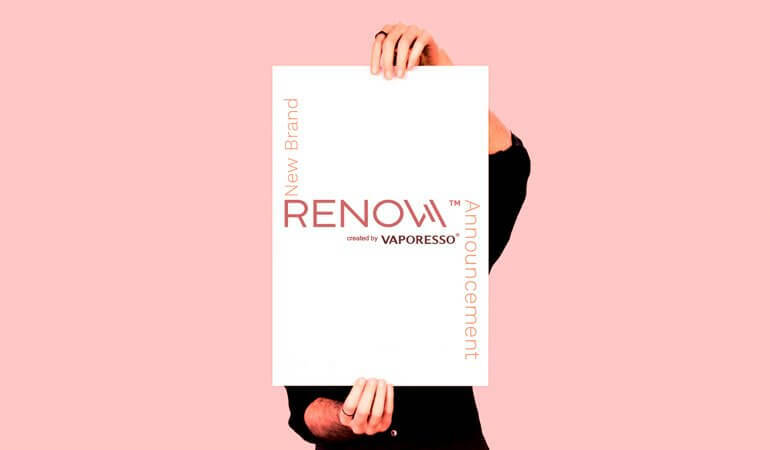 The RENOVA show the evolution of Vaporesso since its founding. 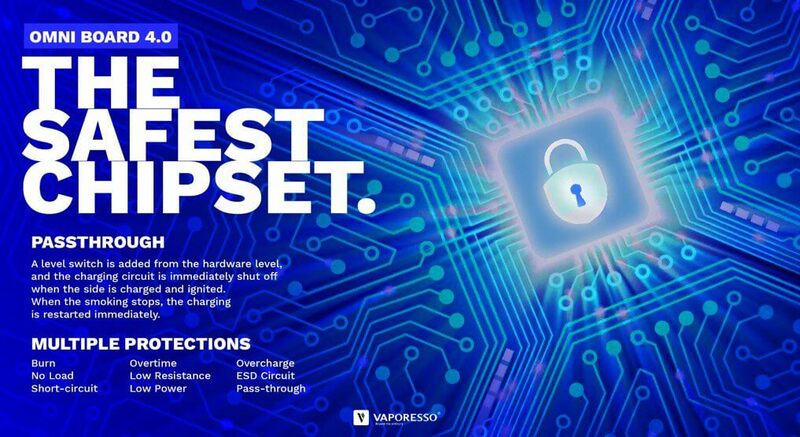 At Vaporesso, we know that moving onto vaping products and finding the right one is hard. This is why we decided to create RENOVA dedicated to perfecting the POD system. We want RENOVA to reflect our expanded capabilities and celebrate the great enjoyment we have with each of you.